Chief Joseph Tonasket (approx. 1822-1891), was one of the first men of importance in Ferry County. After years of ranching (he owned large herds of cattle and horses) in Okanogan, he sold that land and moved to Ferry County, establishing a ranch on the left bank of the Kettle River, about a mile from Curlew -- the first real ranching operation in the area -- in which he raised livestock (sheep, cattle, and horses), hay, and oats. Besides ranching, he had a small general store that carried considerable stock of goods, while on the bench land above the river and across from the mouth of Curlew Creek, he maintained a mile-long race track. He also traveled to Washington, D.C., to lobby for farming equipment for the area. The inscription on his headstone reads, "He proved himself a strong and able leader, and although his was not an inherited Chieftain-Chief, he was officially recognized as Chief of the Okanogan Indians in about the year 1858. His whole life was a series of accomplishments for his people." A Tonasket raised Nobel laureate, physicist Walter H. Brattain helped invent the transistor (a fundamental building block of modern electronic devices). He spent a large portion of his youth working on a family ranch, just outside Tonasket, owned by his pioneer parents: Ross R. and Ottilie Houser Brattain. Whitman rode to his grade school on horseback, five miles each way. When hard times struck during his teens he dropped out of school to work at the ranch. He attended Tonasket High School for two years ( 1916-18), but because the school was unaccredited at the time, later left to complete his degree at a school near Seattle. He later worked at Bell Labs and, along with John Bardeen and William Shockley, invented the transistor. They shared the 1956 Nobel Prize in Physics for their invention. He devoted much of his life to research on surface states. Joshua P Douglas was a true pioneer. 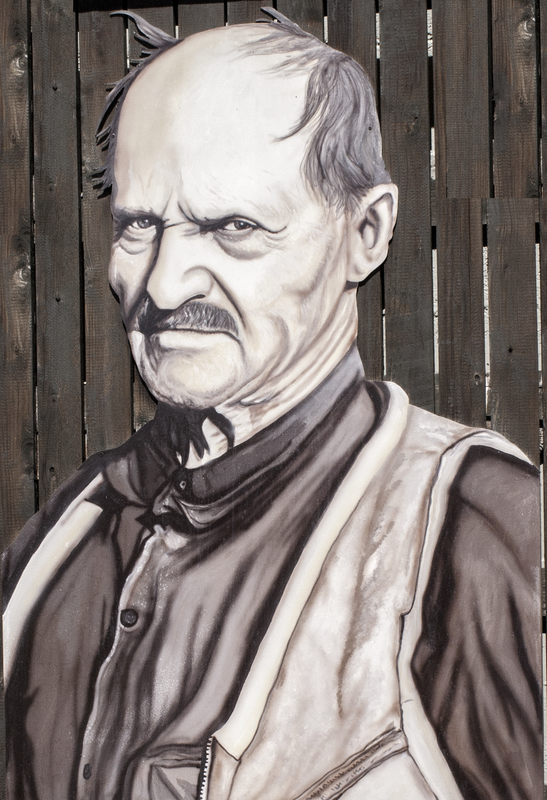 Born in 1872, he made his way west from New York working on irrigation project along the way he took out a homestead near Tonasket and started a peach orchard. In 1919 he offered to build a road up the Similkameen from Enloe Dam to the head gates for irrigation. Douglas & his sons were contracted to build roads using horses and a slip scraper. He built a road for Indian Chief John Tilki whose place was down near the McLaughlin Canyon area, a very difficult stretch of road. Realizing the importance of good roads a local organization was formed call the Tonasket Commercial and Good Roads Club. Many volunteers used their cash supplies and horse power to build the roads we use today. 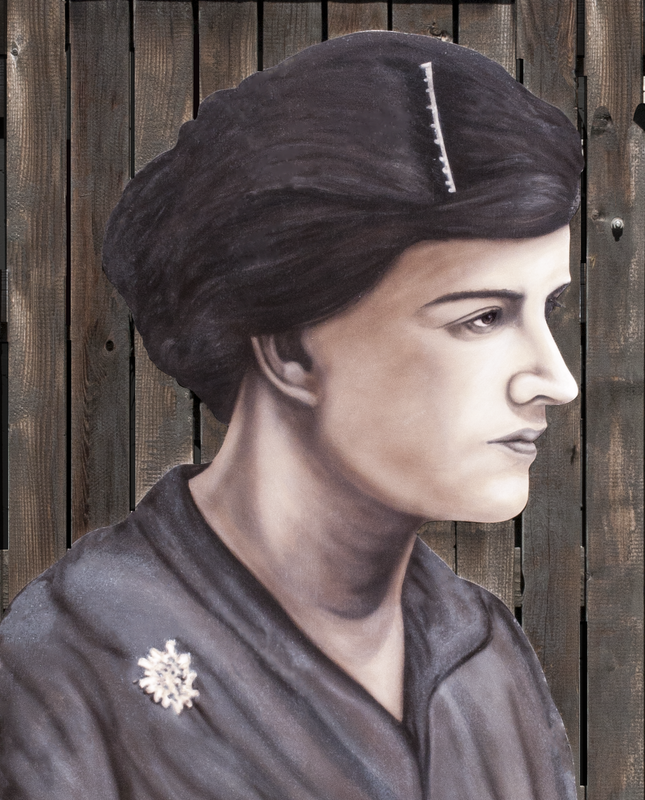 Born in 1895 in Pennsylvania, Hildegarde received her nurses training in Meadville, PA around 1916. She travelled by train out west to live with her older sister where she met her husband, Melvin. In 1930, Dr. Bevis was converting the Schweikert House into a hospital and asked her to take charge of it. She helped with the surgery as an anesthetist and surgeon’s assistant. Later, she was the first nurse for the Dominican Sisters in the new St. Martin’s Hospital which opened in 1938. She continued with her nursing career in Tonasket until she retired and did specialty nursing in her later years. Other early nurses who assisted Dr. Bevis were Ruth Stalder and Leta Barker. Walt Clarkson, with his father Jim, formed the first Clarkson Mill in Tunk Valley about 1923. They also ran a box factory making box shook (finished boards for making the now obsolete wooden apple boxes). After the mill burned he moved to Tonasket in 1936 and built another mill & box factory up Seventh Street. Walt went on to build a total of 14 houses in Tonasket. Other mills in the area were the Atchison Mill, which cut railroad ties for the Great Northern Railroad, the Swanson Lumber Co on Mt. Hull & Ivan Landreth’s Mill on Havillah Road. The Landreth Sawmill became the third largest mill in the County and at one time employed 100 people and ran two shifts. Early logging of virgin timber was all done by hand, with teams of horses. Three logs made up a truck load. Walt Clarkson, with his father Jim formed the first Clarkson Mill in Tunk Valley about 1923. They also ran a box factory making box shook ( finished boards for making, the now obsolete, wooden apple boxes). After the mill burned he moved to Tonasket in 1936 and built another mill & box factory up Seventh Street. Walt went on to build a total of 14 houses in Tonasket. Other mills in the area were the Atchison Mill, which cut railraod ties for the Great Northern Railroad, the Swanson Lumber Co on Mt. Hull and Ivan Landreth’s Mill on Havillah Road. The Landreth Sawmill became the third largest mill in the County and at one time employed 100 people and ran two shifts. Early logging of virgin timber was all done by hand, with teams of horses. Three logs made up a truck load. Arthur Lund, born in 1874, was one of the most influential men in the Okanogan County’s development. He helped plat the town of Tonasket and, with his partner, Charles Blackwell, established banks in the Riverside and Loomis. 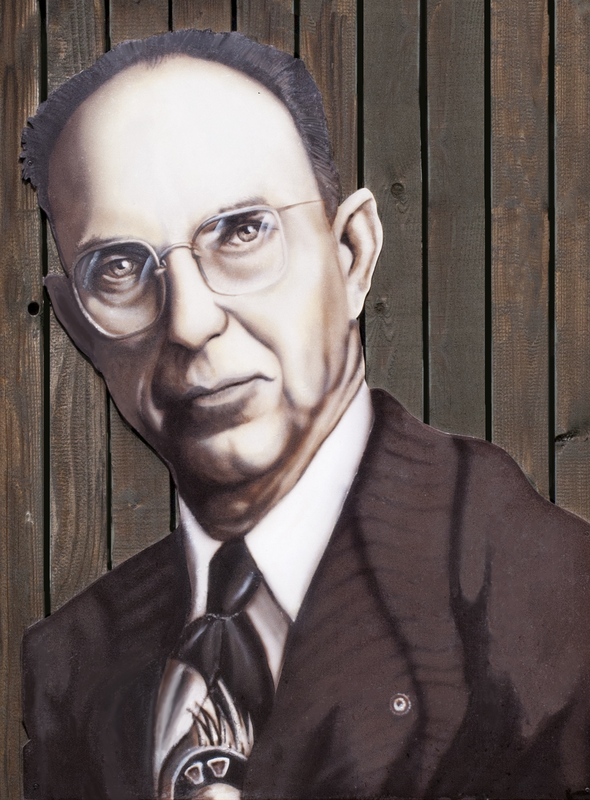 He formed the first National Bank of Tonasket and his friend Ed Workosky joined him in his banking enterprises. In 1938, Arthur and his associates went on a fund raising campaign to build St. Martin’s Hospital. In 1940 the annex was completed and in 1946, the St. Martin’s Convent was completed. It was built at a cost of $45,000 and was donated to the Sisters by Arthur Lund. He also built a doctor’s clinic in 1954. St. Martin’s Hospital and Nursing Home is no more and in its place is the North Valley Hospital. The above images are photos of paintings, available to the public, at Founder's Day Park. You can view our information about Tonasket's parks on our parks page. Tonasket serves as a hub for agricultural and forestry industries in north central Okanogan County. It is home to the Offices of the Tonasket Ranger District of the Okanogan National Forest. The city is also increasingly becoming a convenient jumping off point for visitors coming to the area to enjoy the myriad of opportunities for outdoor recreation in the surrounding areas. Many descendants of pioneer families still reside in Tonasket and the surrounding areas and are interested in preserving and sharing the history of their heritage.